For mild cases of psoriasis, simple topical treatments (creams, ointments) may be appropriate. Moderate to severe cases of psoriasis, however, may require biologics, which are injected. If you must have frequent injections, you may need to do them yourself at home. This may seem scary or intimidating at first — it honestly does for most people. But don't worry: Once you've learned the procedure, the process quickly will become second nature. Biologics are medicines derived from human or animal proteins, rather than ones created by a process of combining chemicals. 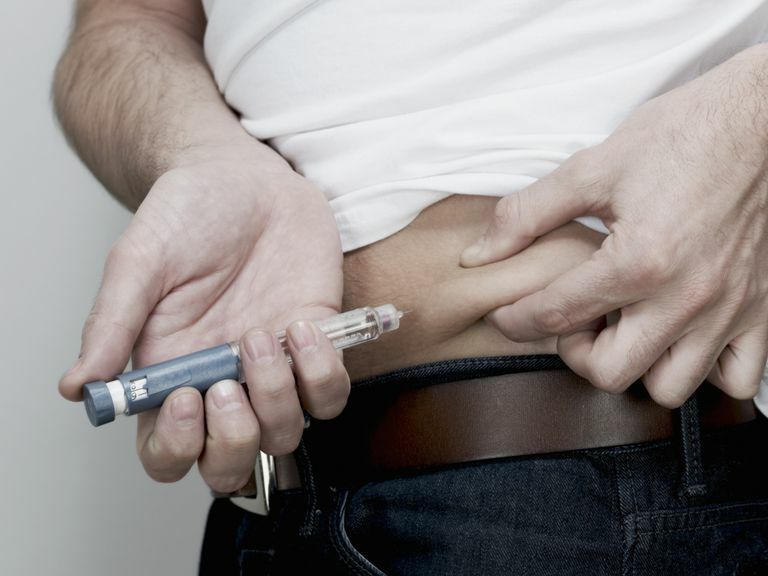 Insulin, which is used by some individuals with diabetes to compensate for an insufficient production of this substance within the body, is an example of a biologic. A common biologic used to treat psoriasis is Humira, which blocks signals in the immune system that encourage inflammation. Humira is designed to be injected every other week. Other biologics may be injected weekly, or even twice a week. Some biologics are given through a subcutaneous injection, meaning that the drug is injected into the layer of fatty tissue just under the skin. Others are given via intramuscular (into the muscle) injection, which can result in mild soreness for hours after being given. Biologics such as Remicade, meanwhile, are given via intravenous injection, which means the drug is delivered straight into the bloodstream through a vein. This mainly occurs in an infusion center or another medical facility. If you can inject your medication yourself, it may come in pre-filled syringes or in a vial of powder that must be mixed with fluid. Specific instructions for preparing the dose will vary, and you should be sure to read any injection package inserts carefully. 1. Start with clean hands. Wash them thoroughly to prevent infection. 3. Prepare the injection site. Your doctor or nurse may already have shown you the best places on your body to give the shot. These locations can include the thighs and the abdomen — places where it is easy to pinch a bit of fatty tissue between your fingers. Cleanse the skin with an alcohol swab by rubbing the swab it in a circular motion over the intended injection site. Allow the alcohol to air dry, or dry it off with your sterile gauze. Uncap the needle and hold it with one hand, as you would a pencil. With your other hand, pinch the skin at the injection site between your thumb and forefinger to provide a fold of skin for the injection. 4. Give yourself the shot. With a quick thrust of the needle, insert the needle completely into the skin at a 90-degree angle — directly into the top of the fold of skin you are grasping. For children or adults with little fat under their skin, a 45-degree angle may be recommended. With the needle fully inserted, let go of the skin you are pinching. Use this free hand to stabilize the base of the syringe. Pull back on the syringe plunger slightly, in order to see if any blood is drawn into the syringe as a result. If blood does appear in the syringe, this may mean that the needle may have entered a blood vessel instead of fatty tissue. Injecting the medication into a blood vessel may cause it to be absorbed too quickly. Pull the needle out, replace the cap and begin the injection procedure again if this occurs. If no blood enters the syringe, inject the medication slowly and steadily. Once the injection is complete, apply a piece of gauze to the injection site and firmly hold it over the skin as you pull the needle out. This will keep the skin from pulling back with the needle, which can be uncomfortable. Apply some pressure to the gauze over the injection site for one to two minutes before removing. 5. Clean up — safely. Replace the cap on the needle, and gather all the used wrappers, gauze and alcohol pads. Throw all of this medical refuse away in a trashcan that will remain safely unavailable to curious children or pets. For even greater safety, ask your doctor or pharmacist about getting a sharps container, which allows for quick disposal of used syringes in a sealed box that children and pets cannot get into. National Library of Medicine. Subcutaneous Injections fact sheet. National Psoriasis Foundation. Biologics fact sheet. National Psoriasis Foundation. Who Can Take Biologics? fact sheet.